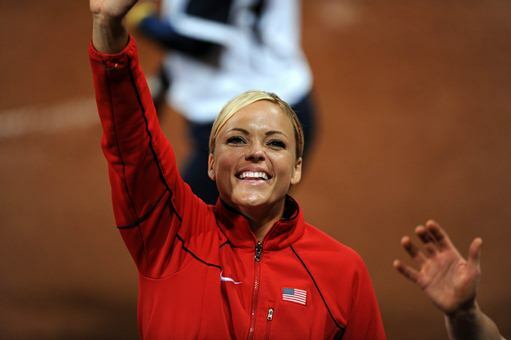 One of the legends of Olympic softball, Gold medalist Jennie Finch, has called on women everywhere to show their support for softball to be played at the Olympic Games ahead of next week’s decision by the IOC Executive Board in St Petersburg, Russia that will narrow down the list of sports for possible Olympic inclusion at the 2020 Games. “I’ve personally seen how softball has grown globally, and its impact on the lives of millions of young girls worldwide,” the US Olympic softball champion said. Finch said that getting more girls into sport would help to empower young women and would be good for society, especially in difficult financial times. “Played in at least 140 countries at some level, softball is an incredibly diverse team sport developed for girls and women. At a time when it is increasingly recognized that a successful global economy is dependent on educating, empowering and including girls and women, it is crucial for the future of the many young women,” she said. “Softball at the Olympics would be good for girls everywhere and good for society,” she said. Finch, a sporting icon and role model for young girls, praised the work of the Olympic Movement in inspiring more young girls to take up sport, and said the IOC EB vote next week would be especially important to the hopes and aspirations of a next generation of young girls to compete at the Olympic Games. “This vote [by the IOC EB] is incredibly important for girls everywhere. It is vital for young women who are inspired and empowered by softball that the sport be placed in the Olympics, and receives the full support of the IOC,” Finch said. Finch’s passion for the IOC EB to support softball’s Olympic inclusion campaign echoed comments by the Olympic legend at the IOC’s Women in Sport Conference last year in which she urged the IOC to give young girls the chance to experience the magic of the participating at Olympic Games and to include softball at the Games. “Baseball and softball are easily introduced and practiced by youth anywhere. It is the WBSC’s vision to work with the IOC to give every boy and girl an opportunity to take part in sport and put baseball and softball at the service of the Olympic Movement to provide youth a gateway to excellence, fitness, overcoming challenges and being empowered,” Porter underlined. The International Softball Federation recently merged with the International Baseball Federation to create the World Baseball Softball Confederation (WBSC), which is now the single entity pitching the IOC on the value of baseball and softball in the Olympic Games.